Here's some interesting videos i found on youtube. it is good for all to take a break and have a good long laugh..!! Are you a fan of the english football team? if you are, take a look! and the video below, is a shortfilm, comedy. Check it out, smithy meets the england football team! 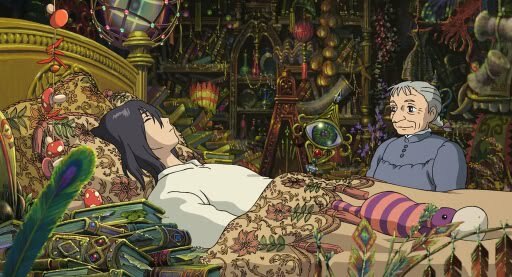 Howl's Moving Castle is a 2004 Japanese animated fantasy film written and directed by Hayao Miyazaki of Studio Ghibli and based on Diana Wynne Jones' novel of the same name. 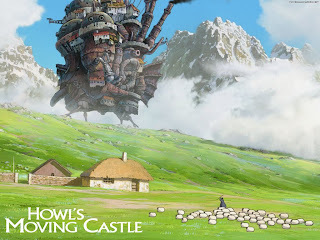 Mamoru Hosoda, director of one season and two movies from the Digimon series, was originally selected to direct but abruptly left the project, leaving the then-retired Miyazaki to take up the director's role. First they show a hazy smoke that comes our from the train and then showing Sophie Hatter was sewing some high-classed hat, then her friends ask her if she wants to go out with them but was rejected. 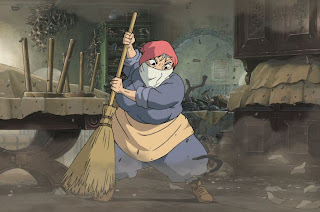 But still she went out, wanted to visit her sister, Lettie Hatter, who works as a shopkeeper (i guess) and everyone likes her due to her cuteness (but in truth i think both of them are not pretty at all, compare to Chihiro's cute and chubby face from Spirited Away) On her way to the shop, two soldier blocked her way and wanted her to be their love interest but was saved by a yellow haired man with magics. Then they encounter some black-ink-like thingy and they walked away in the air peacefully and without anyone knowing. Then she met her sister and all those introducing about how loyalty she is to her jobs and so on. then she went back and she met and fat customer. Sophie intend to ask her to go out because the shop is closing but was later cursed by this Witch of the Waste (which is the fat lady just now, SO FAT, THAT YOU CAN'T EVEN SEE HER TRACHEA, SHE'S MORE LIKE BLANKET) and Sophie turned into an old woman. She was shocked, of course, and she went back to her bed like an old woman. 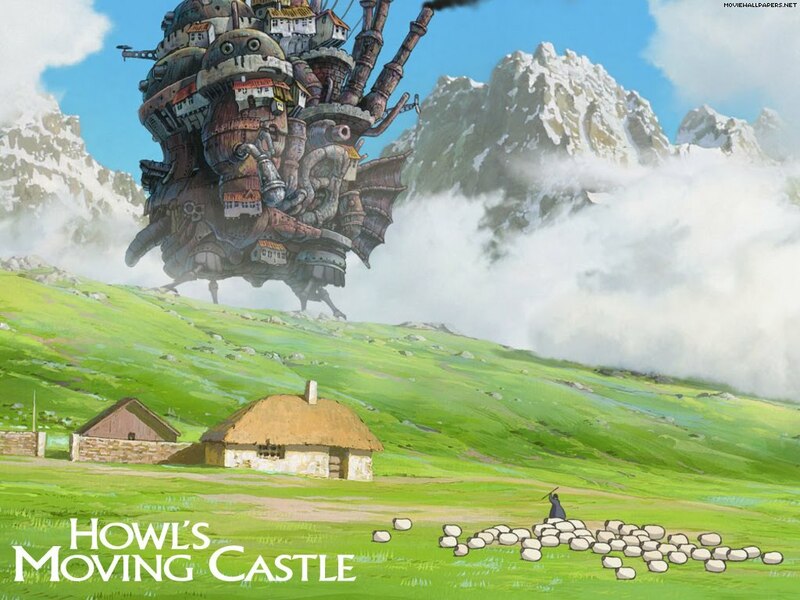 Not as good as Spirited Away, a little bit disappointed thanks to the music and characters and story-flow. 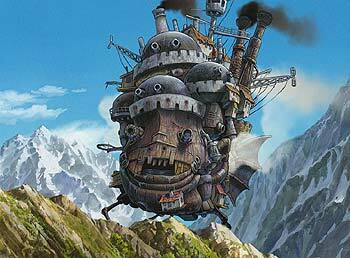 The music isn't as epic as Spirited Away, they should make the whole music like "WHOA!!!" 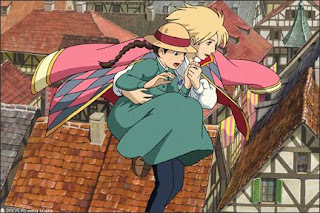 when she saw the Moving castle, and some "what's in there" when she's looking what's inside the castle and so on. The character, especially Sophie, who should be pretty before she was old. if you noticed her eye brow was simply too thick, which makes her more like fierce than friendly and kind. 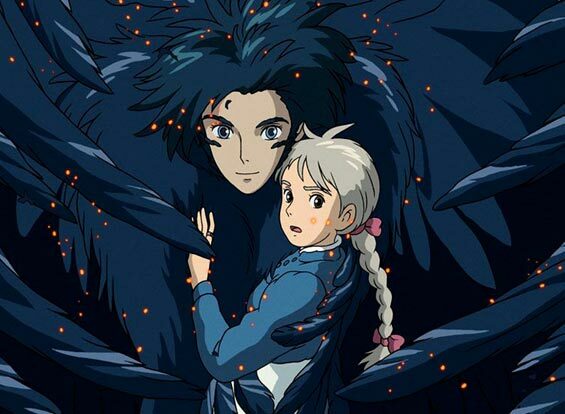 And i don't like the story-flow, they didn't tell us why the war started in the first place and the prince's disappearance (which turns into a turnip-head) and they didn't show the relationship between howl and sophie. 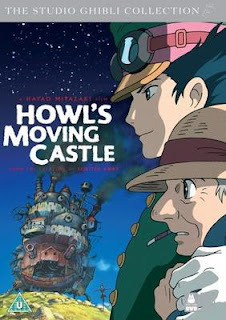 But besides that the movie's fine, the background, the castle, and the action. The background was dark and evil when Howl joins the battle, and the castle is simply epic, and the action is detailed as usual. I wish that, if Hayao Miyazaki wants to make another movie, hope he can improve all the mistake i pointed out, if there's any mistake or more than what i pointed out, comment as you wish. The above review is just a personal view from the writer, not a post by mean to offend anyone. Drop us a comment or go to the forum if u find something wrong with this post. 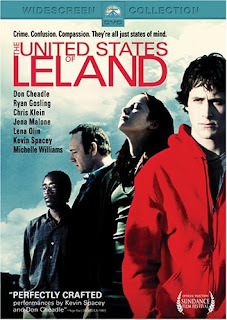 The United States of Leland is a 2003 American drama film by director Matthew Ryan Hoge and producer Kevin Spacey about a meek teenaged boy named Leland P. Fitzgerald (Ryan Gosling) who has inexplicably committed a shocking murder. In the wake of the killing, his teacher in prison tries to understand the senseless crime, while the families of the victim and the perpetrator struggle to cope with the aftermath. I've been so lazy to start this post. here you go, interesting movie of Ryan Gosling's. This is a rather touching story. The United States of Leland is about a teenage boy Leland Fitzgerald (ryan gosling) who murdered a mentally retard boy named ryan pollard. And the only reason he gave is: sadness. i do get what he mean. Leland himself, experienced the sadness of losing his grandmother, and travelled all way long to see his father (a very famous author) but father refuse to see him. Leland has been walking the pollard boy home almost everyday. Leland has been seeing his life ever since he walk him home. 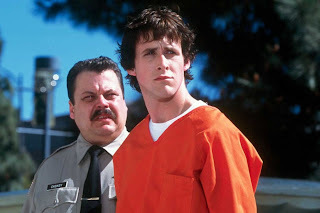 for all audience who watched the movie, they don't hate leland for killing the boy. they don't blame him. There is nothing you can do. This is the strongest point in the story. Often i find myself asking, Is leland that bad? or is he too kind? did he really helped the boy? or ruined his life? is leland the devil? or an angel? i see the retarded boy pollard myself, waiting for his sister to walk him home but the sister never appear; fell in love with a girl, but never had the chance to tell her. of course, his death causes an big impact on the pollard family. the movie's flow is in one straight line. not so much of up and down. so quiet, so calm, yet you can feel the emotion in it. 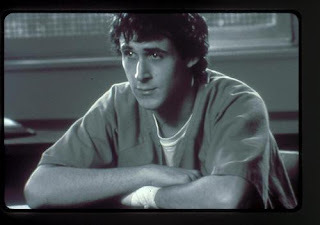 Ryan Gosling is a good actor. His acting impressed so many people. and he is doing Leland real good. Same goes to the other actor and actress. But one thing, i'm so not used to it of Michelle William acting as a "young girl". i always see her as a really matured girl. The soundtrack, by jeremy enigk, matches the movie very well. And my sister loves all the soundtrack used in it. basically the music is the one that brings out the emotions, the flow runs well with the soundtrack. i will end my review here. sorry for giving so less information, this is not a really hot movie so not much pictures.